Welcome to Begbies Traynor Cheltenham. We are a group of licensed Insolvency Practitioners in Cheltenham offering services to help companies with either rescue or closure options. Welcome to the Cheltenham office of Begbies Traynor. Our business rescue experts and licensed insolvency practitioners provide specialist advice to business owners and company directors facing financially challenging situations. Mark Malone is a Partner in the Cheltenham and Birmingham offices. He is a Chartered Certified Accountant and also a Licensed Insolvency Practitioner. 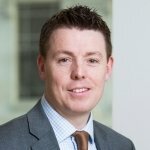 He joined Begbies Traynor in 2005 and has many years' restructuring and insolvency experience. He regularly advises directors and management teams regarding insolvency options across a range of different sectors. For directors of failing or financially distressed companies, what matters most is finding out - with clarity and precision - what options are available. We at Begbies Traynor have a track record of delivering solutions to directors and stakeholders faced with challenging financial situations. Call us directly at our Cheltenham office to arrange a confidential, free initial consultation or to talk through the essential elements of your circumstances. We do have further offices in the South-West region which are located in Bath, Bournemouth, Bristol, Exeter, Oxford, Salisbury and Swindon which you may find more convenient for you.